I write these reviews in part for the personal challenge and in part to get other people interested in reading old books. I also do it to expose some old books as a waste of time, famous only because of their age. The Divine Comedy falls into the second category. For some reason, Dante’s masterpiece survived for centuries and remains to this day a plague on decent, annoyed readers. (Or it could just be me. I’m sure my own unfortunate experiences with religion did little to enhance my enjoyment of Dante’s simpering love poem to the Lord.) Even if you can deal with the Bible-thumping, most of the Divine Comedy is just plain boring. The trilogy starts off with promise. ‘Inferno’ is the story of Dante’s stroll through hell. The imagery is pleasantly creepy—people frozen in a lake of ice, or bound hand and foot by snakes, or stuck upside down in wells while their feet are on fire—but you realize pretty quickly that nothing is actually happening. If you expect a rousing epic poem, maybe a few fights with demons and a love story with the oft-intoned Beatrice, forget it. What you actually get reads like the back of a shampoo bottle: Enter new circle of hell, have long-winded conversation with dead Italian guy, repeat (twenty-four times). Ironically, reading ‘Purgatory’ is more hellish than reading ‘Inferno.’ The second book in the trilogy features exactly the same plot as the first, but it takes place on a really big mountain, and everyone is just waiting around instead of being punished. Plus, this is a poem, so instead of telling you it’s boring in purgatory and calling it a day, Dante gives you flowery, long-winded descriptions of just how boring it is in purgatory. In ‘Paradise,’ Dante goes to hang out in heaven with his lame true love, Beatrice, and the pair of them have a grand time being condescending together. After rambling on indecipherably for several cantos, Dante quips, “A language too profound…is necessity, when concepts move beyond the mark a mortal mind can reach.” It’s not that he’s being obscure, it’s that all of his readers are idiots. Nice. ‘Paradise’ is full of instances like this, in which Dante, geeking out about the glory of God, says that anyone that doesn’t get it is ignorant. 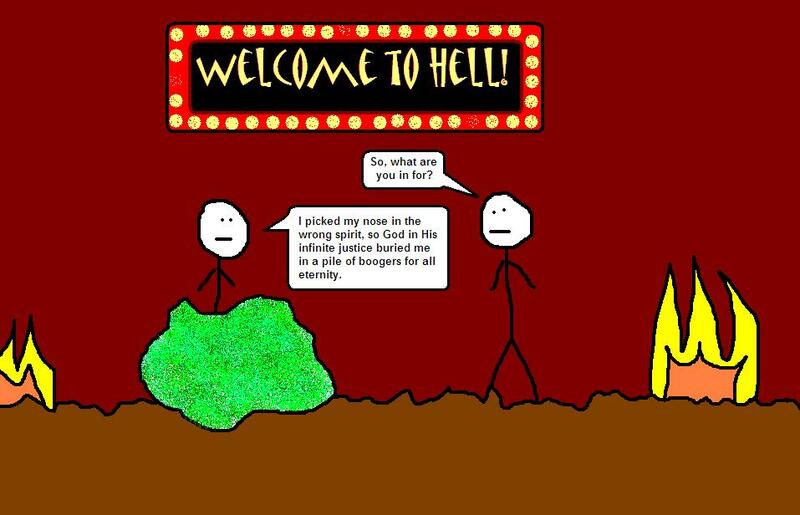 Your reward for slogging through ‘Purgatory’ is to be insulted. Congratulations. If you don’t get around to reading the Divine Comedy in your lifetime, don’t sweat it. You aren’t missing anything. A story that takes place in hell might have been a big deal back in twelfth century Italy, but nowadays it’s too tame to be given so much as an honorable mention, and its sequels are insufferably dull. If you’re seized by the desire to read an ancient poem, try this one.